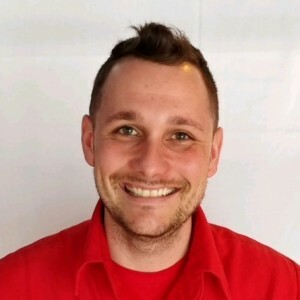 Aaron S has a 5-Star rating and leads the company in total reviews, making this pro a ReviewBuzz Rockstar! 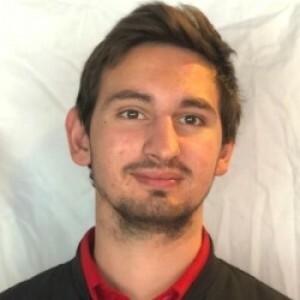 Aaron spent 7 years in the construction and excavating business before switching careers and joining our team. 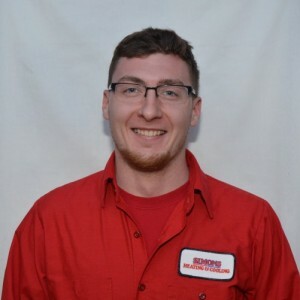 He contributes excellent mechanical and problem solving skills and plays a critical role in the heavy, and often tricky, transporting and maneuvering involved with installations. We had Simons Heating and Cooling install a new heating system in our home. The entire process from the estimate to the completion of the project was amazing! The estimate was done by Jason M and was detailed, accurate and didn't change at all. The installation work was completed by Aaron and Jonathan. 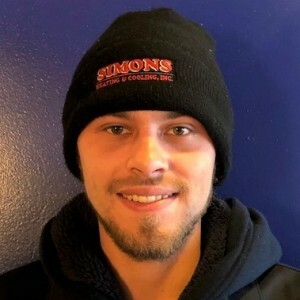 We were completely satisfied with every aspect of the job and would absolutely recommend Simons Heating and Cooling to my friends and family! We just had our furnace and AC replaced, duct work cleaned, and two new toilets put in. Aaron and John were very professional and very polite! They showed up early, finished on time, explained everything thoroughly to us and answered all of our questions. 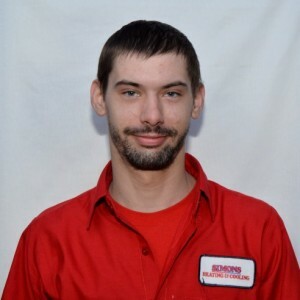 We would highly recommend Simons Heating and Cooling and especially Aaron and John! Great job, very clean, arrived when scheduled, results were more than expected. furnace installed in a challenging space, all in one day. thanks Felix @ aaron. Aaron & Derek showed up when they said they would, stuck to the job until it was finished and cleaned up after themselves before they left. They did a professional job on the installation and kept the disruption of the job site (& our house) to a minimum. They were competitively priced and I would recommend anyone needing heating and cooling work done to consider Simons. Had our central air replaced and upgraded. Andrew and Aaron did a great job on everything!! All was done very professional and done in a timely manor. Thank you on a job well done!!! Would definitely recommend this company to friends and family!!! Job well done, everyone was very friendly and easy to work with. Replaced my oil boiler and everything is great so far! Simons Heating responded to our emergency call on New Years Day. The following day they sent over another heating professional who determined our old furnace needed to be replaced. 2 days later they came, removed our old furnace and replaced it with a new Lennox. the two installation pros, Luke and Aaron did a great job and had our new furnace installed and running by days end. I highly recommend Simons Heating .